There are many great choices when planning a girls weekend getaway. You could, check into a spa resort, see a show, go shopping, visit gourmet restaurants, and probably all of the above. Did you know that Eureka Springs has all of this an more in a quaint and eclectic setting? This year, plan a squad vacation that you will never forget to Eureka Springs, Arkansas! Here are some great ways to plan the best girlfriend getaway in Eureka Springs! No girls getaway would be complete without a little spa time. Eureka Springs’ abundant natural springs and pristine mountain setting are the perfect setting for world class spas. Don’t miss the Girls Night Out Spa Package at the Basin Park Hotel in downtown Eureka Springs. If you want a unique night out, take in an amazing Eureka Springs show. For a night of intrigue and illusion, look no further than the Intrigue Theater. Eureka Springs is also home to the famous Opera in the Ozarks. Also don’t forget the Great Passion Play, America’s #1 most attended outdoor drama! The shops in downtown Eureka Springs are truly one of a kind. Eureka Springs is home to dozens of fine art galleries, specialty shops, jewelry stores and more. Find the perfect gift or memento from your trip and have fun exploring the winding streets of historic Eureka Springs. Learn more about Eureka Springs Shopping and Eureka Springs downtown. Nearly all of Eureka Springs restaurants are independently owned and offer a wide range of cuisine. Enjoy everything from comfort food to fine dining. Eureka Springs restaurants feature unique chef specials. Have a casual meal or experience fine dining. Dine in a historic ballroom, renovated 50’s gas station or Victorian parlor. Dine overlooking Basin Park at the Balcony Restaurant. The options are endless. Click here to learn more about Eureka Springs Restaurants. Nearly all of Eureka Springs restaurants are independently owned. Enjoy everything from comfort food to award winning cuisine. Consider visiting during the Eureka Springs Food & Wine Festival. Eureka Springs restaurants feature unique chef specials. Have a casual meal or experience fine dining. Dine in a historic ballroom, renovated 50’s gas station or victorian parlor. Dine overlooking Basin Park at the Balcony Restaurant or under the stars at Devito’s downtown. The options are endless. 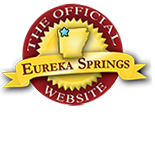 Learn more about Eureka Springs Restaurants and Eureka Springs Events. This entry was posted on June 22, 2017 by service424 in Attractions, Eureka Springs Lodging, Fun Downtown, Lodging Specials, Shopping, Spa and tagged eureka springs restaurants, girls getaway, girls vacation, girls weekend, Intrigue Theater, opera in the ozarks, spa packages.